It’s common knowledge these days that having the trendiest, coolest, most efficient drinking water fountains in the office environment is of utmost importance, for many reasons. For most workers, the fountain is a place to relax, unwind, get refreshed, and, perhaps most importantly of all, catch up on what Dave and Doris from accounting have been getting up to in their lunch breaks. 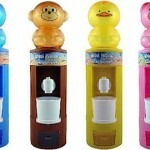 But what if now we could suggest some quirky, alternative drinking water fountains, ones that come in the shape of your favourite animals, be they monkeys or the humble duck, pigs or indeed any sort of blue, non-descript creature, that could sit merrily on top of your desk, thus making you extremely popular and an enviable figure in the office. 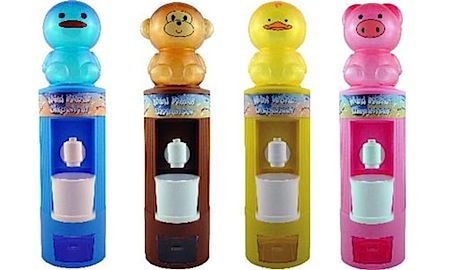 Whatever your novelty water cooler of choice, this is a great one for attracting (wanted) attention, and of course letting you stay at your desk, instead of moving to the fountain, to get yourself a drink. If you’re more of a drinking water fountains traditionalist, then why not see what we can do for you? With our friendly and efficient service, we can get one of our engineers out to you in no time, get a site-survey done, and your water supply flowing pronto. We look forward to hearing from you!